Welcome to Catskill Streams, devoted to inspiring streamside landowners and the larger watershed community to live in harmony with Catskill creeks and rivers and the beautiful landscape they support. The natural and cultural heritage of the Catskill region is inextricably linked to the unique high quality streams that course through its mountains and valleys and play a defining role in the character of its landscape. Recreation in and around these Catskill streams provides residents and visitors with a myriad of opportunities to reconnect with the natural world. The streams also provide 1.4 billion gallons of clean drinking water each day to over nine million residents in New York City and some smaller municipalities (nearly half the population of New York State). 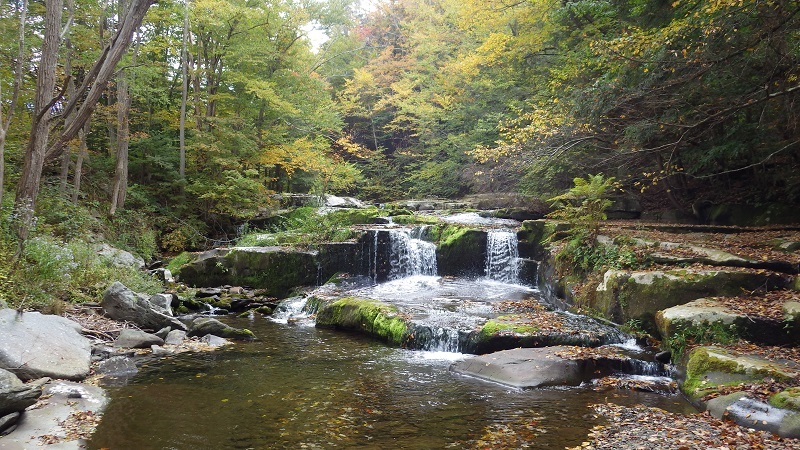 Well-informed living along Catskill streams begins with understanding stream basics – the important environmental functions and services streams provide and the relationships among these functions. With this foundation, the visitor can view stream stewardship from the Caring for your Stream page. For more information on projects and activities underway in the Schoharie, Delaware, Ashokan, and Rondout-Neversink watersheds, visit the Stream Management Program page.